Kenilworth Lions Club plays a prominent part in Kenilworth life. It is especially well known for its much loved charity Furniture Store – donate unwanted household items here. Our events and activities throughout the year help support needy causes in the community and raise funds to help both local and international charitable initiatives. Many events also provide an opportunity for other educational, youth, charitable and commercial organisations to get involved in enriching the community life of Kenilworth. Some of our endeavours require a degree of hard work, but all of them are fun and a rewarding opportunity to put something back into the community and help those less fortunate. 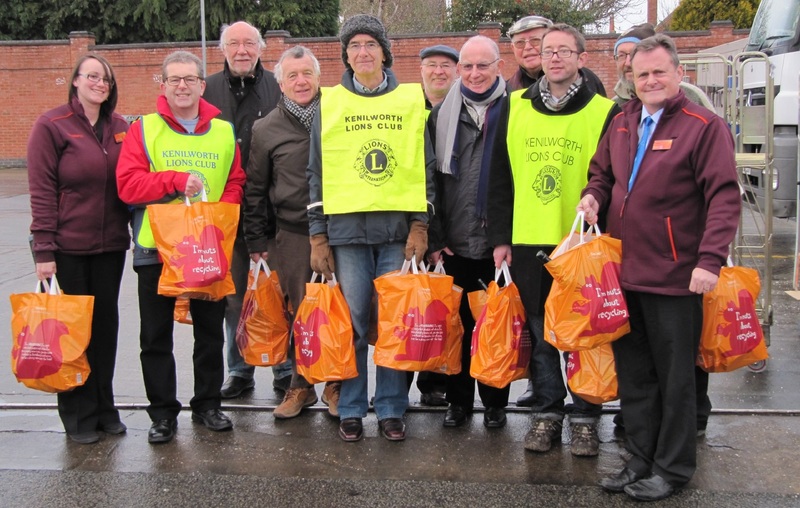 With our many activities and a full social programme the Kenilworth Lions Club is friendly, rewarding and good fun! If you can spare a few hours and would like to get involved and help with any of our activities we would love to hear from you. A little hard work in the knowledge it is for the benefit of others will be good for you too! Kenilworth Lions Club is part of the world’s largest service club organisation ~ Lions Clubs International. Founded in 1917 and now with more than 45,000 clubs in over 200 countries throughout the world Lions Clubs International have a total membership of more than 1.3 million. Active men and women around the world are supporting both local charitable and community causes and global projects in diverse geographic areas. As Lions Clubs International members they volunteer for many different kinds of community projects including caring for the environment, feeding the hungry, supporting seniors and the less able, and support in fighting blindness. To learn more about Lions Clubs International click here.